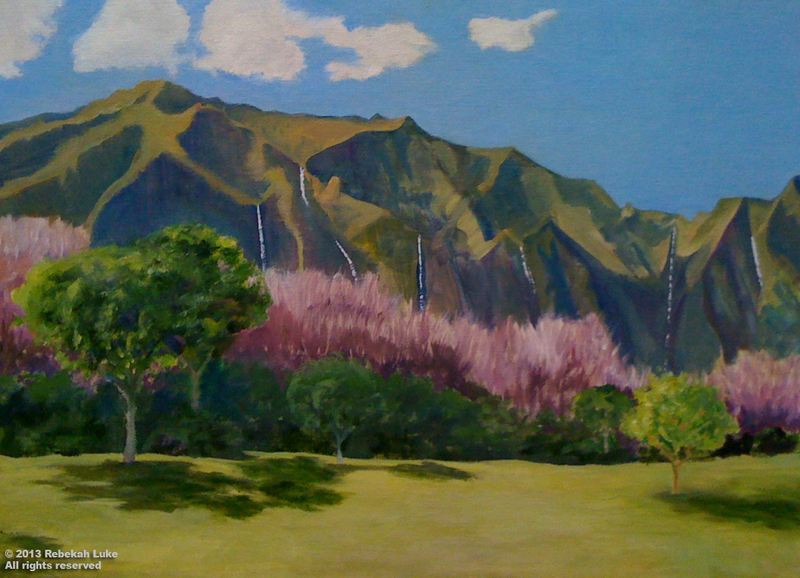 “Blue Koolau Mountains” by Rebekah Luke. The study of shapes and values and their relationship is what makes this oil sketch abstract. The afternoon of day 2 of the Native Hawaiian Arts Market in Honolulu. 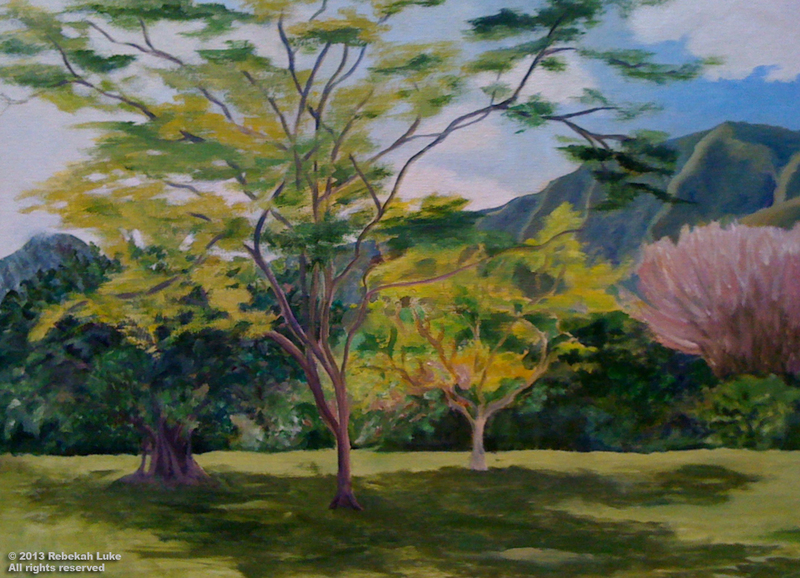 Many visitors to the Bishop Museum have stopped by the display of my landscape paintings and admired them, but no sales. The sky is threatening thunder showers, and DH who is my “easel” is hinting to pack up. My things are high-priced items for the average craft fair, so I don’t expect any volume. If I make one sale, it is a good day. I make up my mind that the next person who stops will go away with a new piece of art. It’s a young couple. They discuss something and then show me an image on her iPhone. “Do you have this one?” she asks. 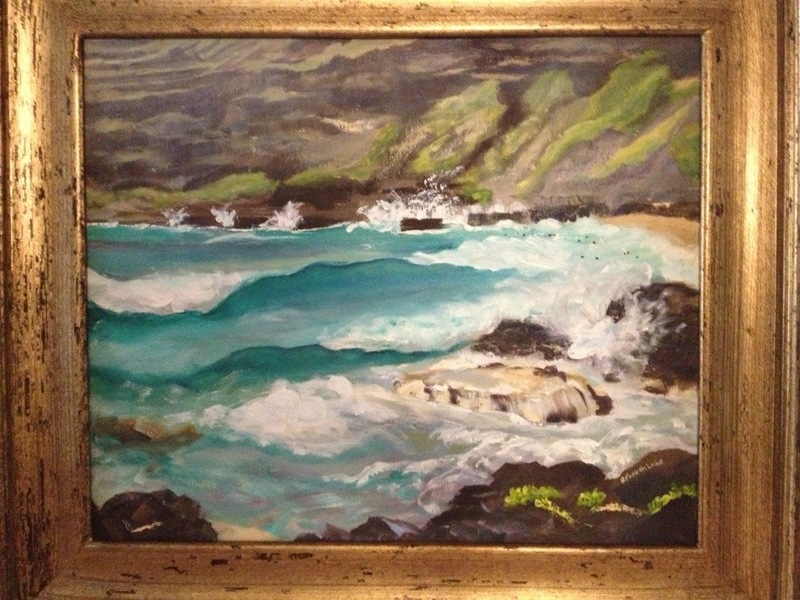 It’s my “Blue Koolau Mountains” from my website. 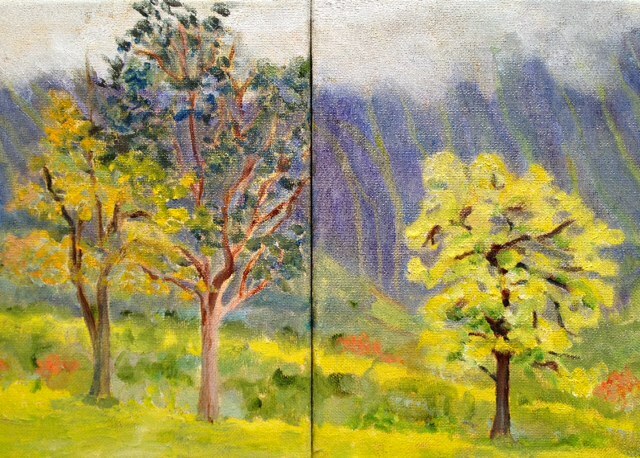 A tiny 5″ x 7″ oil sketch made in 2008! 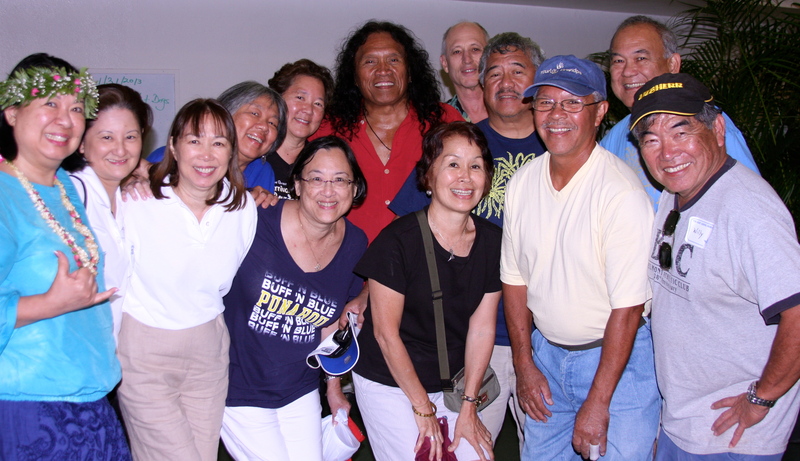 They explain that they live in Minnesota and are leaving Honolulu tomorrow, Memorial Day. 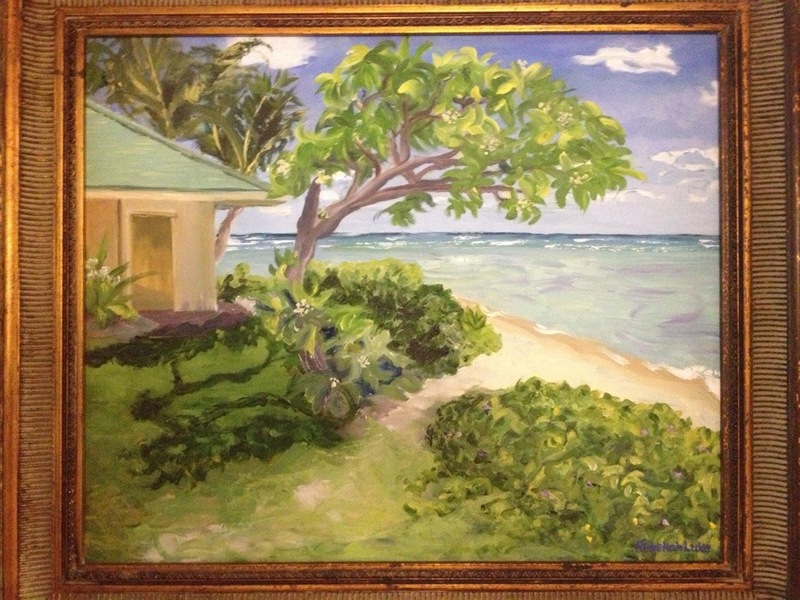 They saw my paintings at the Native Hawaiian Arts Market last year when they lived in Hawaii; then they moved to Minnesota. 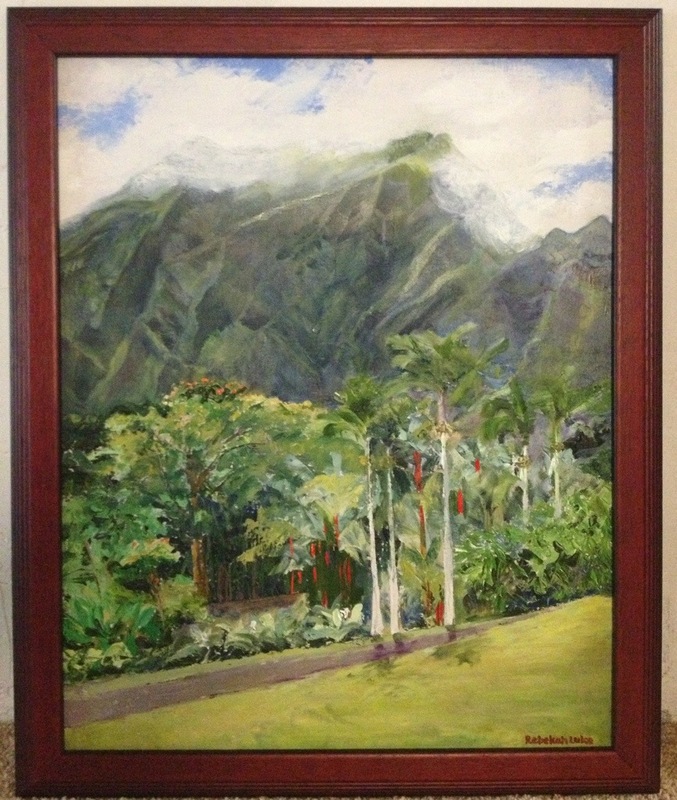 They explain they were looking for something with the colors of “Blue Koolau Mountains,” found me online (obviously), read that I would be at the Bishop Museum today, and came looking! Oh, for goodness’ sake! “If you want it, I’ll ship it to Minnesota for you at no extra charge,” I say. I close the sale, and everyone goes home happy in the rain. Some things take a long time, but I’m willing to wait. I hope they like the wide gold frame I chose. Thank you, Lovey! 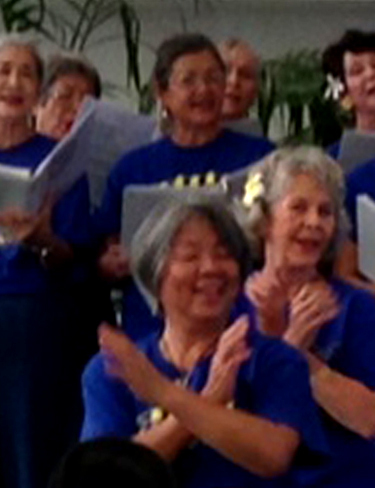 Mahalo e ke Akua!